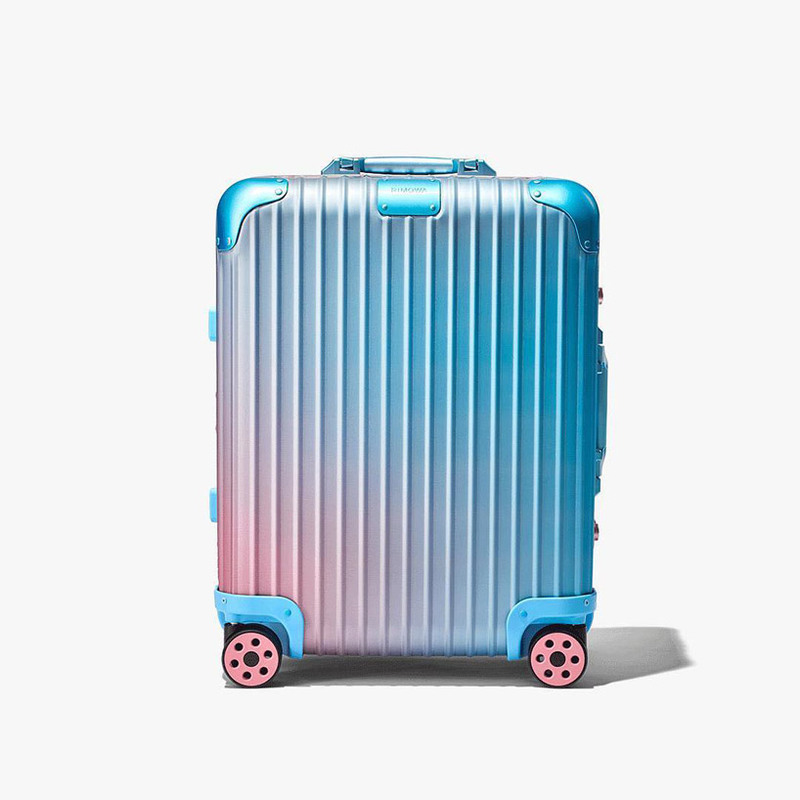 premium luggage brand RIMOWA reveals details of its latest collaboration, a candy-hued collection with multimedia artist alex israel. 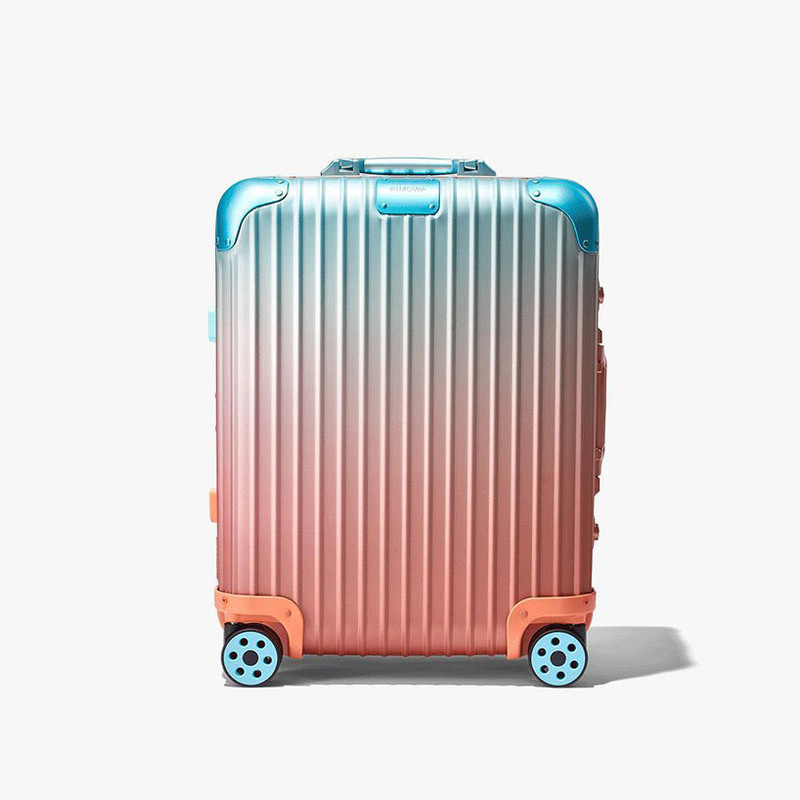 the limited edition suitcases feature vibrant gradients inspired by the artist’s sky backdrop paintings, a series of skyscapes airbrushed by a hollywood studio crew that does backdrops for film. RIMOWA‘s iconic aluminum shelling is treated with tones of blue, light purple, pink and light orange, reminiscent of the vibrant sky in LA during sunset and sunrise. the limited-edition suitcases come in two styles and will sell for around $2,800 each. one features a gradient sky-blue which fades to pink, while the other colorway features the pink to blue. RIMOWA CEO alexandre arnault took to instagram to tease the luggage purveyor’s latest collaboration. the full collection is set for a reveal at this year’s frieze art fair. look out for a launch at the alex israel X rimowa popup happening between february 14 – 16 at melrose/la cienega. in other news, RIMOWA opens its first flagship store in japan and releases iphone cases featuring its iconic aluminum grooves.